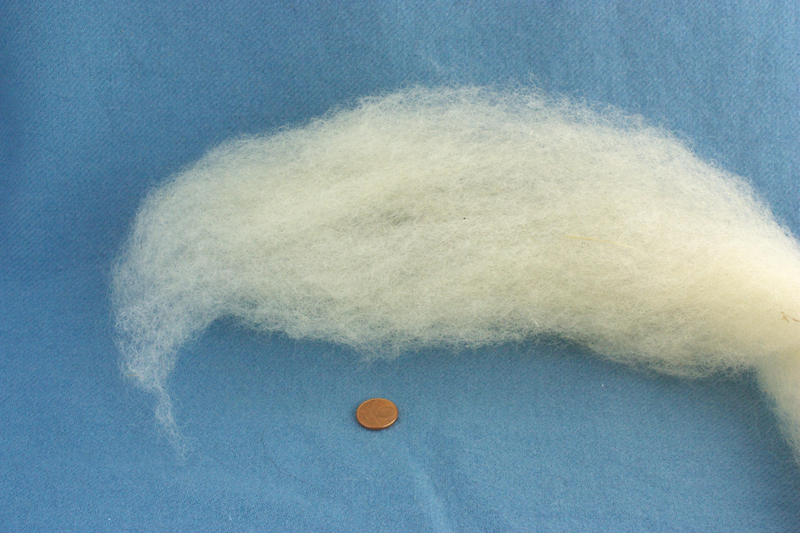 Rhoen sheep have a white to slightly yellowish wool with even staple length and a fine crimp. The wool has been washed very gently and thus still contains a little lanolin. 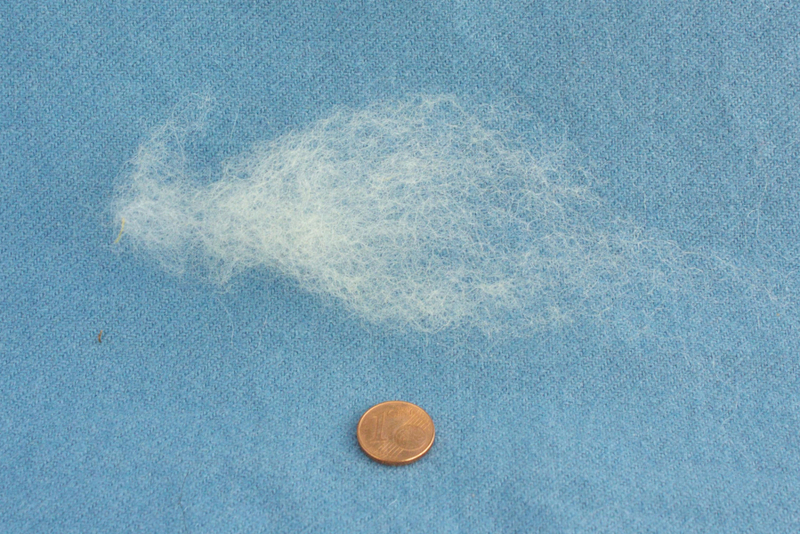 After washing and drying, the wool was carded into a band in a small carding mill in Germany. It is very nice to spin and suitable for beginners. Small bits of vegetable matter may occur in the band. The wool is sold in units of 100 g. For large amounts or special wishes please contact me per email!